You know that person. She’s an expert shopper, she always has an eye for style, and she’s like an eagle when it comes to finding bargains in sales. The outfits that she wears always make her stand out, and she’s even helped you from time to time in the past with your wardrobe. She’s the fashionista in your life and, especially if her birthday is coming up, you should seek to spoil her. How do you shop for a shopaholic, though? Advice on how and what to buy for a fashionista can be found below. It’s a known fact that fashionistas love their jewelry. They use sparkly items to accessorize their outfits, they use them to stand out, and they use them as conversation starters. For this reason, when seeking to buy for that fashion-forward friend of yours, you should make sure to pay a visit to the jewelry store. You shouldn’t buy any old piece of jewelry for your friend, though. 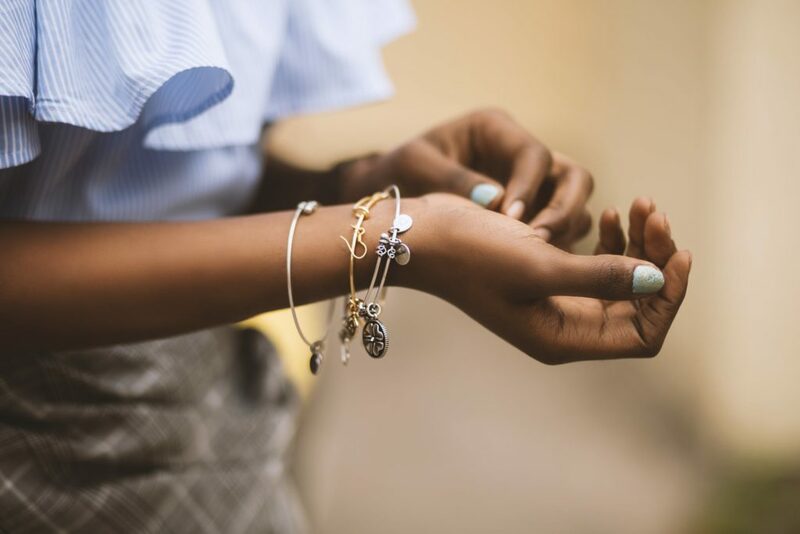 By just picking up and paying for the first flashy item that catches your eye, you’ll, more than likely, present your friend with jewelry that doesn’t suit their style or personality. If this were to be the case, the money you spend will all be for nothing, as there’s no chance your fashionista is going to wear jewelry that doesn’t suit them, regardless of who bought it for them. Instead, you have to resolve to buy the right jewelry for the fashionista in your life. Whether this means buying them gem quality Tahitian pearls or a charm that holds sentimentally, you have to judge what your fashionista is going to want based on their past jewelry purchases and desires. Items of clothing and pieces of jewelry aren’t the only thing you can buy for your favorite fashionista. You can also buy them a gift that will decorate their makeup desk. When you come to doing so, a good first port of call is to buy your friend a rustic lipstick holder. Rustic is very much in which means when you buy such an item, not only will you be helping her out in a practical sense, but you’ll be adding some chic to her vanity collection. Fashionistas don’t just look good; they smell good too. For this reason, purchasing a nice scent is an option for you when you come to buying for them. When you do, however, make sure to do as much homework as you can. There’s nothing worse than buying a scent for somebody when they either do not like it, or it doesn’t suit them. To ensure you’re going down the right path with the signature perfume you source, make sure to subtly ask your friend what they do and do not like, and, if you can, try to sneak a peek at or get a whiff of the set of scents that they already use. Everybody has that one person in their life that thinks they’re more stylish than you and everybody else they know. Why not humor this fashionista, even if it just this once, by buying them a present that panders to the way she perceives herself? When you come to doing so, make sure to remember all of the gift ideas that you’ve come across above.